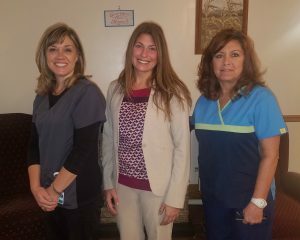 The Jennie B. Richmond Nursing Home has announced new additions to its nursing team as of November 2018. Charlene Cole, RN of Sardinia has taken on the role of director of nursing. 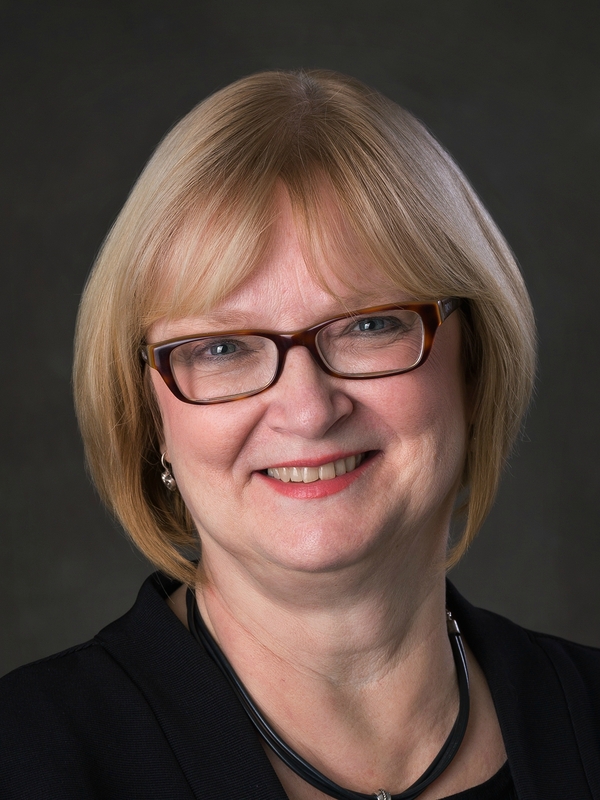 She has worked in intensive care, dialysis care, cardiac care and med-surgical settings. She will have responsibilities for managing nursing staff and coordinating resident care. She joined JBR as assistant director of nursing earlier this year. Jessica Jayes of West Seneca will be the Jennie B.’s admissions and marketing coordinator. Jayes has a strong background in healthcare marketing, in addition to education in mental health and counseling. This new role will manage the nursing home’s outreach to healthcare facilities and will be a key part of the admissions process. Brandie Boyd, RN of East Concord has joined JBR as assistant director of nursing. Boyd has experience in acute care and subacute rehabilitation nursing. She will work closely with Cole and JBR Administrator Carole Francis to coordinate nursing activities on the east and west wings. 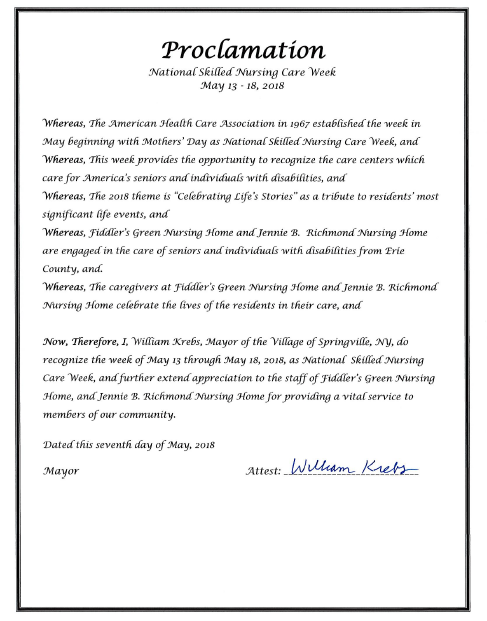 From May 13-18, National Skilled Nursing Care Week is recognized. This week, which starts with Mothers’ Day, is a way to focus on the important work done within nursing homes and care facilities to provide for the needs of seniors and individuals with disabilities. The Jennie B. Richmond Nursing Home, established in 1974, provides skilled nursing care and short-term rehab in the heart of the village of Springville. 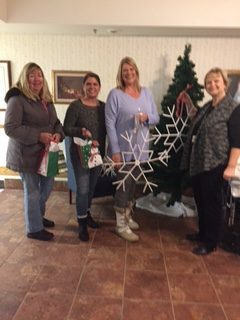 In recognition of this, village Mayor William Krebs issued a proclamation to acknowledge this week and extend appreciation to the JBR staff for providing a vital service for our community. 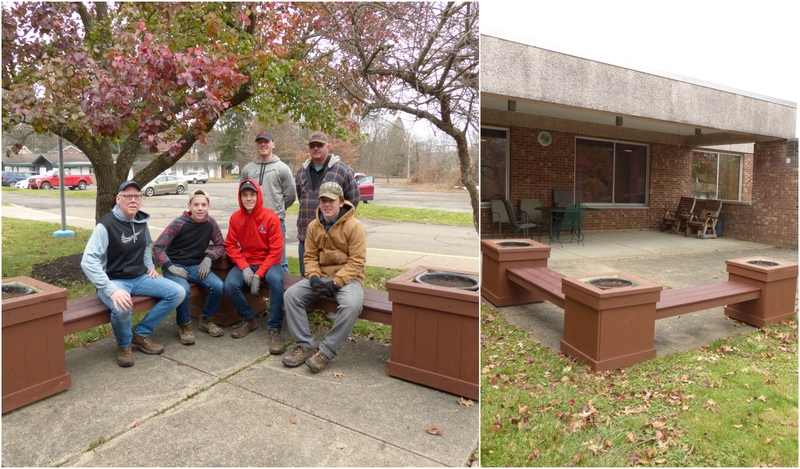 Eagle Scout candidate Jonathan Smith installed benches at the Jennie B. Richmond Nursing Home just after Thanksgiving. With the help of Boy Scout Troop 524 and support from the Springville Kiwanis, American Legion Post 431 and the Lions Club of Springville, two L-shaped benches and one bench will be available in the front entrance to the Jennie B. for residents, their family members and JBR associates. This effort went toward the completion of Smith’s Eagle Scout requirements as a “citizenship in the community” project. Standing: Ethan Smith and Mike Fullington; seated, Daryl Smith, Liam Smith, Jonathan Smith and Robbie Smith. (Photo provided by Jonathan Smith).